Foriegn Minister Kamara briefs President Sirleaf upon arrival. 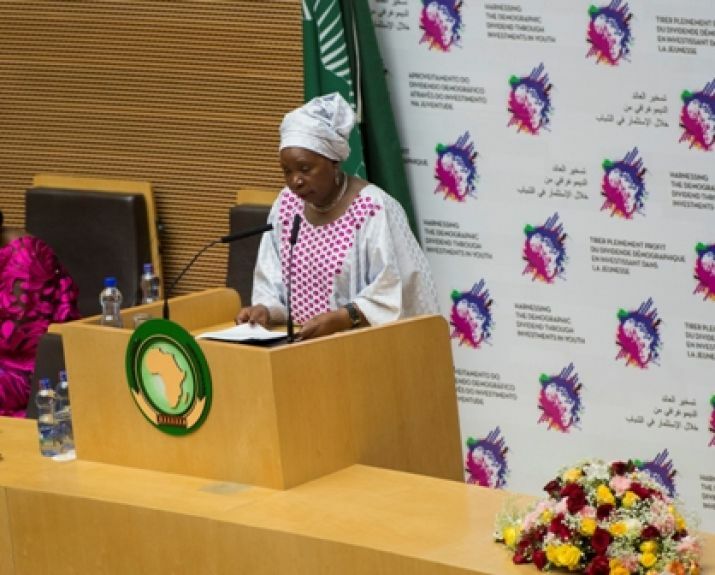 President Sirleaf Concludes 28th African Union Summit of Heads of State and Government; Holds Several Bilateral and Consultative Meetings on the Margins of Summit. President Sirleaf Returns Home; Promised to Hold Economic Management Team Confab. Aerial view of the Nelson Mandela Hall where the AU Assembly was held. President Sirleaf being presented the honor by out-going AU Chair Idriss Deby. An appreciative ECOWAS Chair proudly received the award from the AU Leaders in Addis. 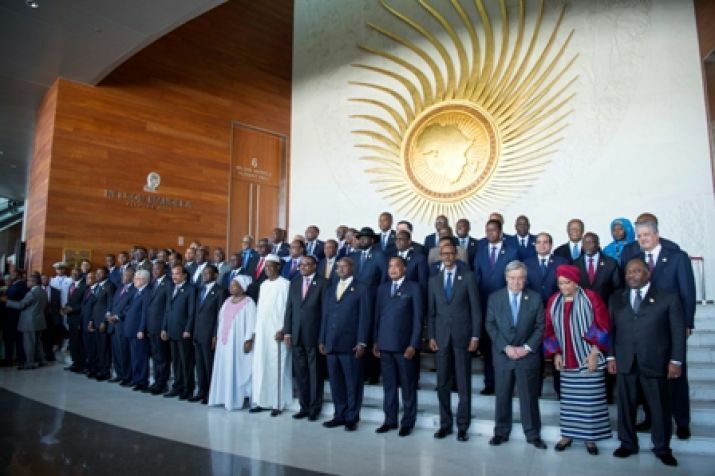 Heads of State of the AU in a group photo at te 28th African Union Summit in Addis. Outgoing AU Commiswion Chair Zuma addresses the 28th Summit in Addis. President Sirleaf chats wiith ECOWAS Ambassador. President Ellen Johnson Sirleaf receives Justice Jerome Traore President of ECOWAS Court of Justice and delegation. President Sirleaf Signs Book of Condolence for former Chairperson of the Council of State - Mrs. Ruth Sando Fahnbulleh Perry. President Sirleaf Commends Integrity Idol Liberia; Receives District Governor of Rotary Club. President Sirleaf arrives in the Joint Chambers. President Sirleaf as she passionately delivers her Annual Message. President Sirleaf makes comments at the meeting as members of the delegation from both side pay attention. A cross-section of Cabinet Members in the rear.